Peter qualified from the Botanic Gardens Glasnevin 1987 and the Royal Botanic Gardens KEW in 1991. 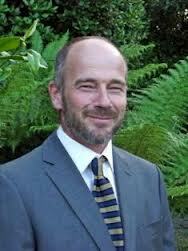 He is a director of Peter O’Brien & Sons (landscaping) Ltd, Dublin where he has worked for over 20 years. Peter O’Brien’s is a large contracting business (currently employing 60 staff) covering a broad spectrum of landscape activities. Some of the high profile jobs carried out include: installation of Thomond Park (Munster Rugby’s Pitch) and the Titanic Project in Belfast. Peter lives close to the sea in Dublin and trys to get on it as much as possible to sail, fish and kayak.